Mr. Vinod Kumar Somani, is a fellow member of the Institute of Chartered Accountants of India. 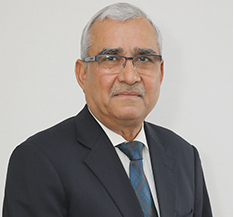 He is a senior partner with M/s KG Somani & Co., chartered accountants since 1986. He has been auditing the accounts of Nationalised Banks, Insurance Companies, Government and Public Sector Companies. He has a sound knowledge of Finance, Companies Act and Tax Laws. Since M/s KG Somani & Co was registered under the SEBI Merchant Banker Category IV, he is well-versed with Merchant Banking activities. He was a member of the MOU Task Force and Expert panel of the Task Force on the Memorandum of Understanding of Central Public Sector Enterprises. 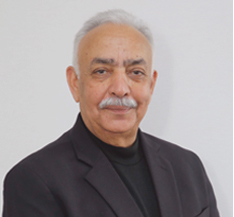 Mr. Yogendra Pal Singh had joined the Indian Police Service in 1981. He held several positions in the police force in Uttar Pradesh in executive policing, vigilance, police training and armed police. He served at the Central Bureau of Investigation in the fields of Special Crime and Anti-Corruption, for nine years, as DIG (Special Crime) and Joint Director (Mumbai and Delhi Anti-Corruption zone) respectively. He has served at the International Cricket Council, Dubai in the capacity of General Manager and Head of Anti-Corruption from June 2011 to March 2017. Keshav Porwal is the Managing Director at Capital India. 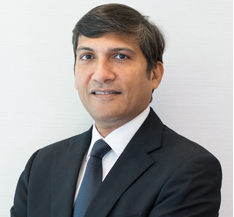 He is responsible for formulating the organization’s overall growth strategy and guiding its evolution into a reputed financial services institution. With almost two decades of experience in the finance and real estate sector, Keshav is an industry veteran. He has successfully closed large, complex real estate transactions involving leading developers across the country as well as PE investments. He has worked across all aspects of real estate financing ranging from risk management to new product launches. Keshav has also been involved in the restructuring and re-engineering of medium-sized enterprises in the auto and hospitality sectors. 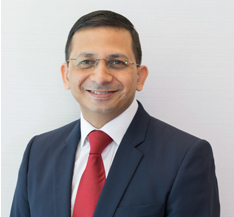 Kotak Mahindra Bank, ICICI Bank, ABN AMRO Bank, Société Générale and India Infoline Ltd.
Amit Kulshreshtha is the CEO and Executive Director at Capital India. He is responsible for leading the company’s business-building efforts, identifying growth opportunities and nurturing talent at the organization. With a career spanning over two decades, Amit is an experienced industry leader in the financial services sector. His expertise includes mergers & acquisitions, structured finance, equity fundraising, financial structuring, project financing & development and management consulting. 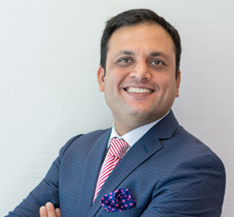 Apart from financial services, Amit has worked with clients across a wide array of industries including infrastructure, energy, real estate, manufacturing, retail and metals. Vineet Saxena is the CEO at Capital India Home Loans, a wholly-owned subsidiary of Capital India Finance Limited. He is responsible for building the company’s home loans and consumer finance business. An astute banker and finance professional, Vineet brings two and a half decades of experience in commercial and retail lending functions. Having built the retail finance portfolio for one of the largest banks in India, he is well-versed with the credit needs of retail consumers. ICICI Bank, Barclays Bank Plc., ABN AMRO Bank N.V., GE Capital, Religare Finvest, Magma Fincorp and StarAgri Finance.